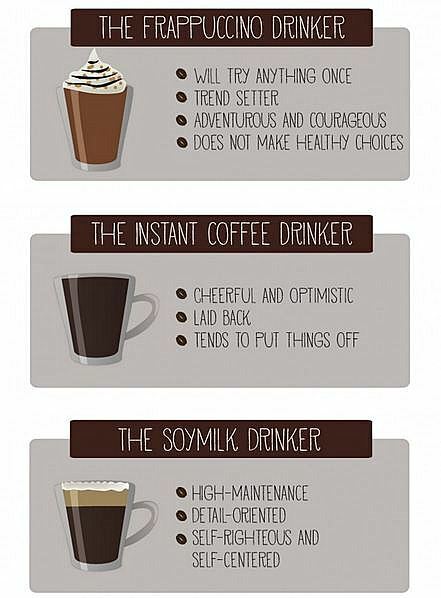 Between Lattes: What does your favourite coffee say about your personality? I'm going to share with you today a diagram I came across recently which supposedly shows how coffee drinkers' personality types are linked to their coffee preferences. The findings are (or so they say) based on research conducted on 1,000 coffee drinkers by associating their habits with various personality traits. Whether or not the findings are factually true, I haven't the slightest idea, but they sure as hell give you, for instance, a reason to take the mickey out of that instant coffee-lovin' boss of yours for being such an inveterate procrastinator. 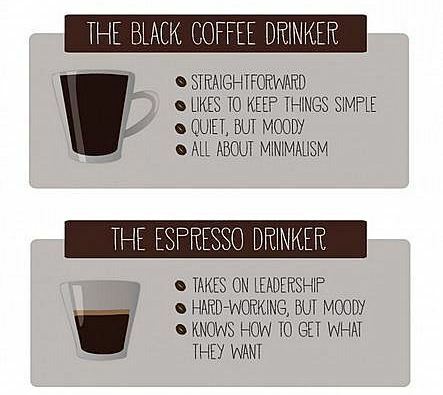 Tell us, how do you prefer your coffee? Do you personally find some degree of truth in the diagram? 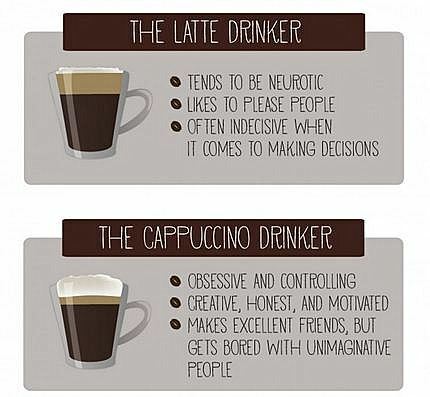 My wife says that the description for a CAP drinker (myself) is spot on. I also indulge in Instant. Does that make me Schizophrenic?